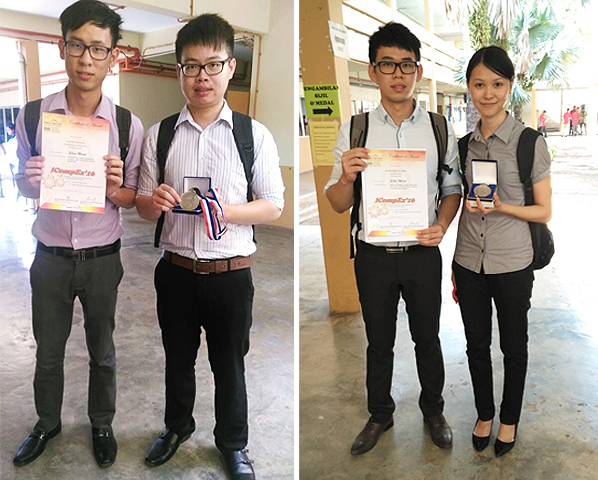 Setting yet another rousing example, four teams from the Faculty of Engineering and Green Technology (FEGT) were awarded medals and certificates for their innovative inventions in the National Innovation and Invention Competition through Exhibition 2016 (iCompEx’16). The competition, which took place from 22 to 24 March 2016, was held at Politeknik Sultan Abdul Halim Mu’adzam Shah (POLIMAS), Jitra, Kedah. 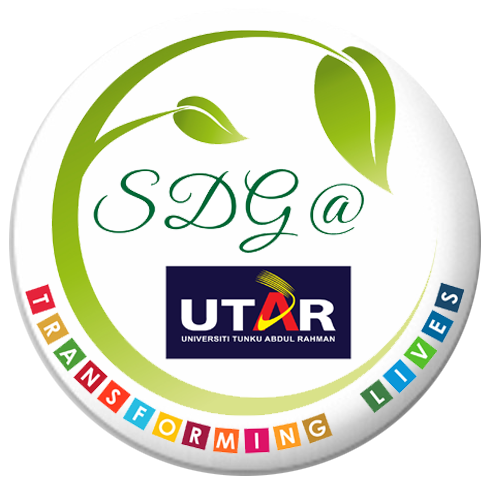 Organised by POLIMAS, the event saw the FEGT teams win in the category of Agriculture, Environment & Renewable Energy. Each team presented their winning inventions, with which one team won a gold medal and cash prize of RM400, two teams won a silver medal and a certificate each, and the last team won a bronze medal. As part of the students’ final year project, their participation in the competition has given them the opportunity to gain experience in the research field and exposure to various new innovations. Nor was the competition only an eye opener, but was also a platform for all innovators and inventors to present their inventions to the world. “Winners never stop trying,” expressed Engineering doctorate student Sharmeeni Murugan joyfully when her research project won the gold medal. The team also walked home with a certificate. 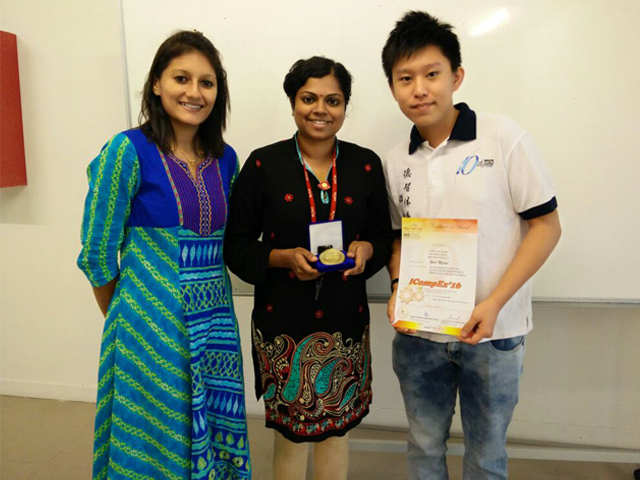 Her teammate, final year Petrochemical Engineering student Chai Chun Leong also expressed his gratitude to their advisor, Department of Petrochemical Engineering Head Assoc Prof Dr Yamuna a/p Munusamy, for being their pillar of support throughout the competition. “Through this competition, we were able to promote our research project which uses eggshells to replace commercial calcium carbonate,” continued Chai. The gold award winning research project, titled “Development of New Bio-Filler for Polymer Product from Waste Chicken Eggshell”, functions by using waste eggshells as a bio-filler for polymer products, thus minimising the requirement of obtaining calcium carbonate from the natural environment. With this invention, natural resources such as limestone can be conserved, while also reducing the quantity of waste eggshells at landfills. 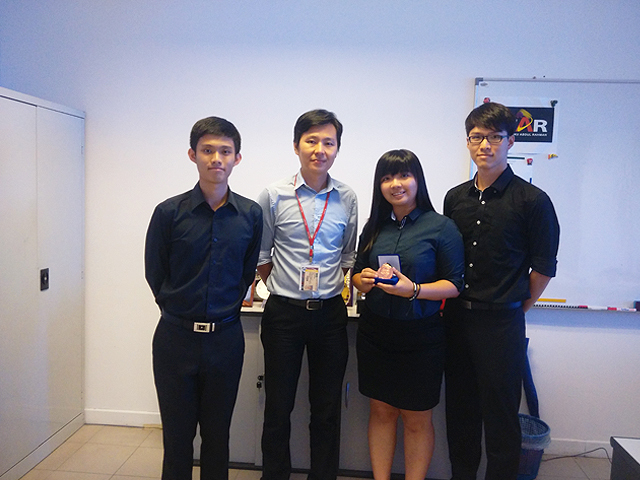 As for final year Environmental Engineering students Klinsmann Ng Weng Sum and Leong Wai Lun, alongside their advisor, FEGT lecturer Dr Sumathi a/p Sethupathi, their research project titled “Microwave Assisted Palm Oil Sludge Char: The Heavy Metal Remover” earned them a silver medal. Their invention is meant to help create a safe environment by eliminating waste and reutilising the waste to suppress soil contamination and water pollution. It works by using a microwave heat technique to modify palm oil sludge (POS). The carbonised POS will then be converted to a carbonaceous inert material. The invention also tested positively for removing certain heavy metals. Another entry that bagged a silver medal was “A Novel Absorbent Produced from Unwanted Sea Mango by Microwave Induced KOH Activation”,by final year Environmental Engineering students Chia Ken Lin and Tay Ming Xian, with their advisor, FEGT Department of Environmental Engineering Head Dr Mohammed J. K. Bashir. Their eco-friendly invention works as an adsorbent to simultaneously remove organic and inorganic compounds, which is a treatment solution to the problem of hazardous landfill leachate. Using a microwave heating technique, the adsorbent converts unwanted materials to value-added products, with little energy and time consumption. Regardless of winning a bronze medal, final year student Chai Huey Yee was delighted to have the opportunity to participate in the competition. “The competition is a good event that enables students to share knowledge with others and to enhance our innovative projects,” said Chai. Given that it was her first time participating, she was grateful to her advisor, Deputy Dean for Academic Development and Undergraduate Programmes Dr Ng Choon Aun, for being the source of motivation throughout the competition. Joining Chai in the project were teammates Lim Ping Feng and Tai Chee Yong, with their research titled “Performance of Innovative Hybrid Microbial Fuel Cell (MCF) in Treating Palm Oil Mill Effluent (POME)”.The MCF technology functions by using microorganisms to oxidise organic and inorganic wastewater compounds while generating electricity. The brilliant invention also demonstrated significant improvements in electricity production, Chemical Oxygen Demand removal rate, and biogas production.